A BOOK THAT GETS YOUNG PEOPLE AND ADULTS TALKING ABOUT MONEY. GET A FREE CHAPTER BELOW! I never thought of myself as a finance person. But as I started designing a fulfilling life for myself, I realized that your ability to manage your money directly affects your ability to life the life you want. 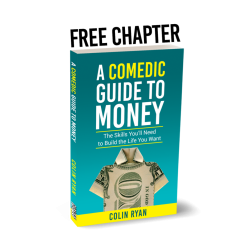 Pulling from my personal experience and teaching thousands of students, A Comedic Guide to Money is filled with tangible advice and inspiration. 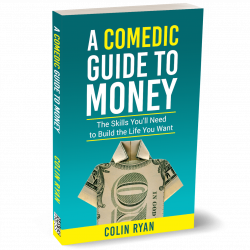 It’s a fun introduction to money that will help you increase knowledge and confidence and build a roadmap to the life you want most. Everyone secretly wants to talk about money, but we don’t know if it’s acceptable so we don’t have much practice. This book obliterates the taboo of talking about money. Finances don’t have to be boring, and let’s face it, thinking they are one of the biggest reasons we try to ignore opportunities to learn more. 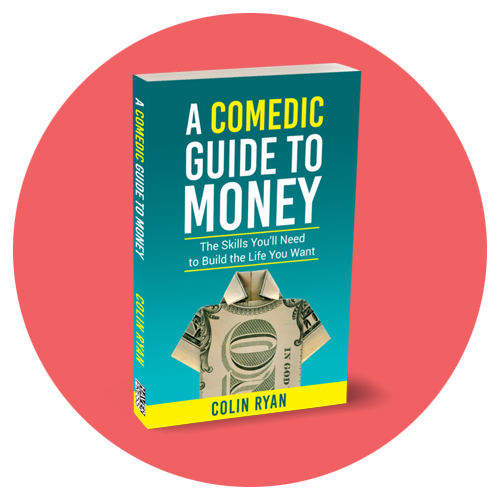 This book uses personal stories to help illustrate money in real life situations. The biggest barrier to financial knowledge is feeling dumb when we hear a term we think we're supposed to know. This book will teach you what you need to know (in words normal people use), build your confidence, and show how you’re probably already doing better than you think! This book identifies the smallest possible behavior changes you can implement. And as mall win can create a new sense of self and hopefulness for what else is possible. We hear a lot about the negative sides of money. The truth is, positivity is a powerful mindset shift we all are capable of making. And once we do, we begin to change our behavior for the better. The Center for Financial Literacy at Champlain College (producer of the Financial Literacy National Report Card) bought a copy for every participant in their Teacher's Summer Institute.